Sugar and acids are your teeth’s worst enemies. What are we talking about? Soft drinks, energy drinks, fruit juices, and candy. These soften the tooth enamel, making it highly susceptible to decay. Parents, watch your kid’s consumption of these, because young children’s enamel hasn’t developed fully. This makes these drinks even more damaging for kids. As well as eliminating the above (or at least reducing their consumption), use a sugar-free xylitol chewing gum after meals. Also, rinse your mouth with a high-quality dental mouthwash. Fluoride is fine…in small amounts. Excessive fluoride can cause tooth enamel irregularities. 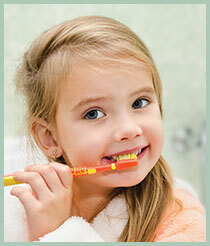 Young children, especially, often swallow too much toothpaste while brushing. So parents, supervise your young kids while they brush. Kids (and even adults) often use way too much toothpaste (a pea-size drop is plenty). A little goes a long way. Do you wake up with pain in your jaws or a persistent headache? If so, you may be grinding (called bruxing) while you sleep. Persistent bruxing can damage teeth and cause them to get shorter and shorter. It can also damage your temporomandibular (jaw) joints and even affect your hearing. If you suspect that you are a bruxer, tell Dr. Babin. He or she may recommend a night guard or other oral appliance. TMJ stands for temporomandibular joint, your jaw joints. The pain, discomfort, or tenderness in or around the jaw joints is called TMD, temporomandibular dysfunction or disorder. 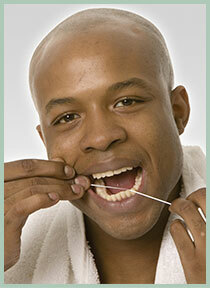 There are a variety of treatment options for TMD. Be sure to ask your dentist about these. This is just a sampling of often-asked questions. Have one of your own? Don’t hesitate to give us a call at (225) 590-3835 so we can assist you.